Should I feed my cat wet or dry food, what is the best for their health? Cats are strict carnivores, they need to eat animal based proteins, just like cats in the wild. Cats don’t have the enzymes to digest carbohydrates, and they use protein & fat for energy. My recommendation is to feed your cat 2-3 cans of wet food a day and limit dry food to very small quantities if necessary. I have heard that cats are bad drinkers, how do I give my cat the water it needs daily? As cats evolved from the desert they naturally have a low thirst drive as they obtain the water they need from the prey they eat in the wild. The best way to give your cat the moisture it needs is by feeding them a wet food daily. 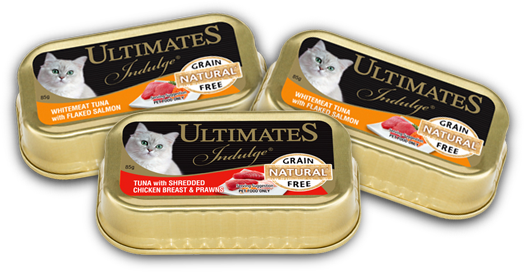 The benefits of wet cat food is that it’s higher in animal protein and water & closer to the natural diet of wild cats. The higher moisture content also helps to avoid chronic diabetes, kidney and urinary tract problems. Are meat by – products bad for my cat? I wouldn’t feed my cat meat by-products due to the process that meat by – products go through, all the sinews and tendons etc. that get boiled up and made into a sort of “meat paste”. 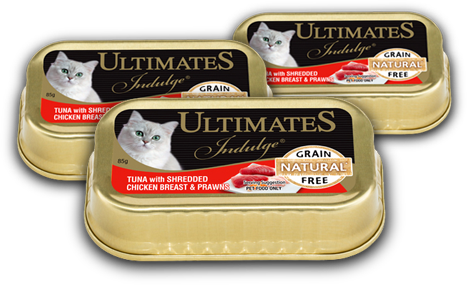 They are not bad for your cat, I just think they are over processed and not natural. What should I look for when choosing a wet food for my cat? There are a lot of hidden nasties in cat food that are bad for cats. Look at the ingredients on the label and avoid cereal and meat by-products. Look for a wet food that is high in real fish & meat, as cats are strict carnivores and need these nutrients. On the label ingredients are listed in terms of largest to least, look for fish or meat as the first or second ingredient. Is there anything I need to know about reading a cat food label? 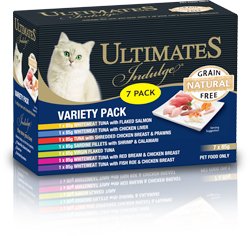 When choosing a cat food for your cat, always read the ingredients section of the label, the ingredients are listed in order of largest constituent of that cat food to least constituent. Look for cat foods that have meat or fish as first ingredient avoid those products that have cereal or cereal by-products or meat by –products. We know that cats do not digest carbohydrates well, so why would there be cereal and cereal by-products in a wet product? Also read up on what actual meat by – products are and how they are produced and I am sure you will not want to give them to your cat as part of their food. My cat only eats dry food, and seems fine on dry, why should I change? I would not feed my cat dry food, for the reason that dry cat food is mainly made up of cereals and plant carbohydrates, this goes against the natural diet of cats, you don’t see cats stalking a bowl of cereal in the wild, so why do we feed our cats this species inappropriate food? Remember too that large pet food companies make a lot of money out of dry food, they also make sure it tastes good, so your cat will enjoy it. They can make dry food cheaper than using protein which is more expensive, so it means bigger profits (Cereals are cheaper than meat).The mere fact that almost all dry food is irradiated with gamma rays, in order to remove possible contaminants, makes it a “no no” for me to feed my cat.